With Tactilon® Agnet, smart device users become part of the professional world – voice, data, video and location services are all at hand with the reliability and security that professional users expect. Tactilon Agnet is an extensible collaboration solution that takes full advantage of smartphone capabilities in a secure and controlled way. Staff necessary to an operation can be easily and securely connected, even when using different devices and technologies. 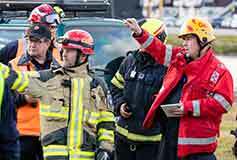 Tactilon Agnet meets the needs of public safety organizations as well as corporate users. The application runs on standard or ruggedized smart devices, offering a very simple and intuitive user interface for field users. Providing integrated applications, including voice services, instant messaging, video communication, location mapping and emergency calls, Tactilon Agnet meets the diverse needs of public safety organizations as well as the transport, utility, general industry and corporate sectors. With Tactilon Agnet, push-to-talk services can be integrated into a professional dispatching application, while bringing the benefits of mobile Internet and a wide selection of device models. Users can manage contacts and groups, while their organizations can set quality of service priorities for users and take advantage of real-time geolocation to check availability of staff. With only a touch of a button on your smartphone you can talk, send multimedia messages or even live video to your group. Send or receive real-time video from the field to give or get immediate support in an assignment. Benefit from a comprehensive overview of an operation including the group member details and easy commanding. Make announcements to another user with a voice or video call or send further information by messaging. ... for a field user? 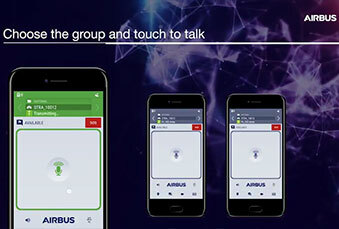 Niklas Lagerblom from Airbus shows how easy it can be for smartphone and professional radio users to communicate. Which specific devices or infrastructure are needed to support multimedia features and hybrid user groups? Agnet 900 provides voice, images, video, location mapping and other professional applications over broadband in centrally controlled user groups. All this comes with quality of service management and end-to-end encryption according to 3GPP standard for Mission Critical Services. 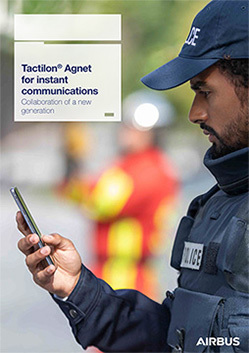 Designed for professionals in police, fire, healthcare, defence and SWAT teams, Agnet 900 is perfect for group communications with various needs. 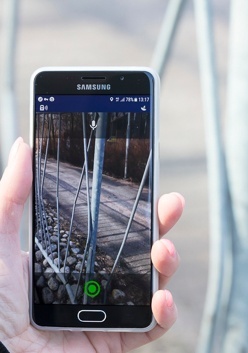 It runs on standard or ruggedized smartphones and tablets, offering a very simple and intuitive user interface for field users as well as a complete set of multimedia features. Agnet 900 can be used by field commanders as a light dispatch solution on a tablet but scales to a complete multimedia dispatcher on laptop. Organisations can also benefit from the existing operational structures as Agnet 900 users can communicate with Tetrapol talk groups. If you want to improve your professional group communications and easily expand your teams, Agnet 900 is the right product for you. 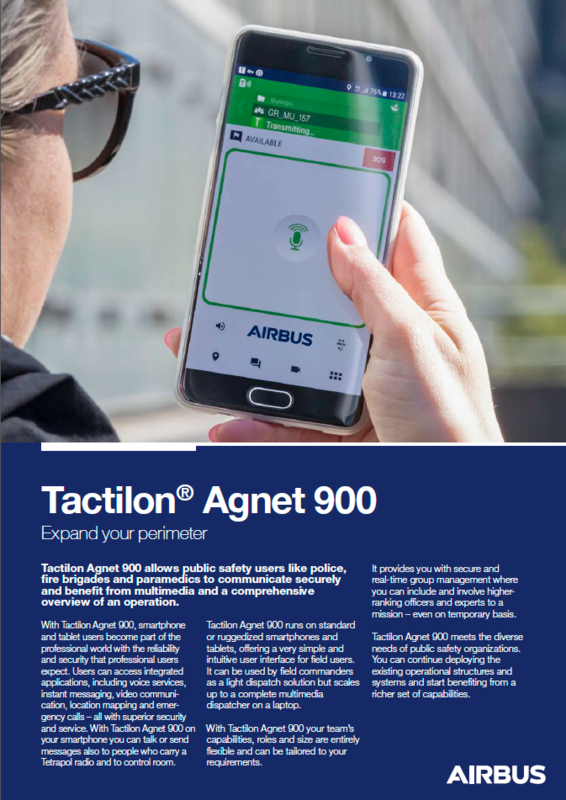 The pilot users of Tactilon Agnet have tested and recommended several models of smart devices to use with Agnet 900. They all use the Android operating system. Agnet 800 provides secure voice, messaging and professional applications in centrally controlled user groups to your smartphone. Being fully compatible with Airbus TETRA, Agnet 800 easily adapts to your operational and technological structures. Designed for professionals in police, defence, healthcare, mining, transport and rescue operations, Agnet 800 has a very intuitive user interface with clear keys for every function. 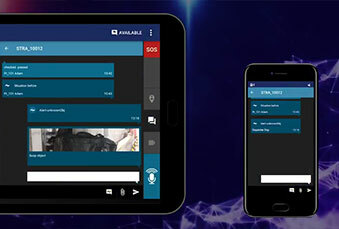 It lets you to use push-to-talk on a smartphone to communicate in TETRA talk groups and with dispatchers. With Agnet 800 you also can benefit from tailored predefined messages and from flexible but secure group management. Agnet 800 is securely integrated into the Airbus TETRA system and into the broadband service making use of existing structures and processes. 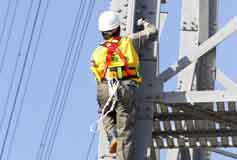 This means there is no need for disruptive changes to start taking advantage of Agnet 800. 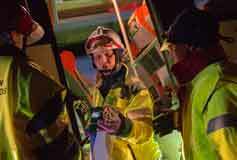 The same communication and management capabilities work for control rooms, TETRA radio users and smart device users. If you easily want to include a wider group of experts to your operational structures and processes, temporarily or permanently, Agnet 800 is the right product for you. 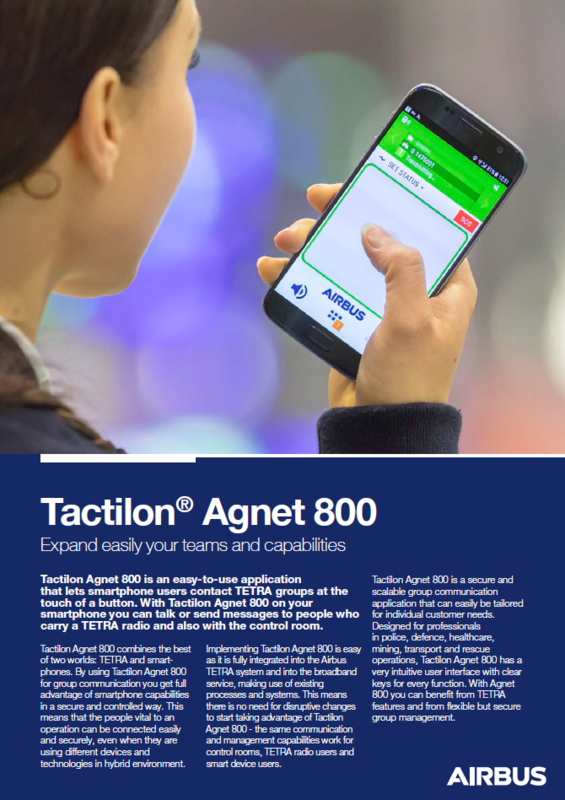 The pilot users of Tactilon Agnet have tested and recommended several smartphone models to use with Agnet 800. They all use the Android operating system. connect professional users within flexible, centrally managed user groups. Designed for use by railways, urban transport, airports, utilities, industrial sites and corporate officers, Agnet 500 allows the coordination of large teams needing real time communications in the field. Wherever the users are and whatever their communication needs, Agnet 500 brings a company’s smartphone users into the corporate digital network and makes them a full part of the team. 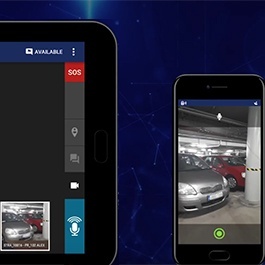 As well as all the benefits available to public safety users, corporate users will appreciate the instant communication and real-time group management. Agnet 500 is ideal for professionals seeking for a modern, easy-to-use, flexible and scalable group communications solution helping them to improve effectiveness. Agnet 500 also offers new business opportunities to commercial mobile network operators in the field of professional communications. MNOs can offer Agnet 500 as a group communications service for their professional customers and users. 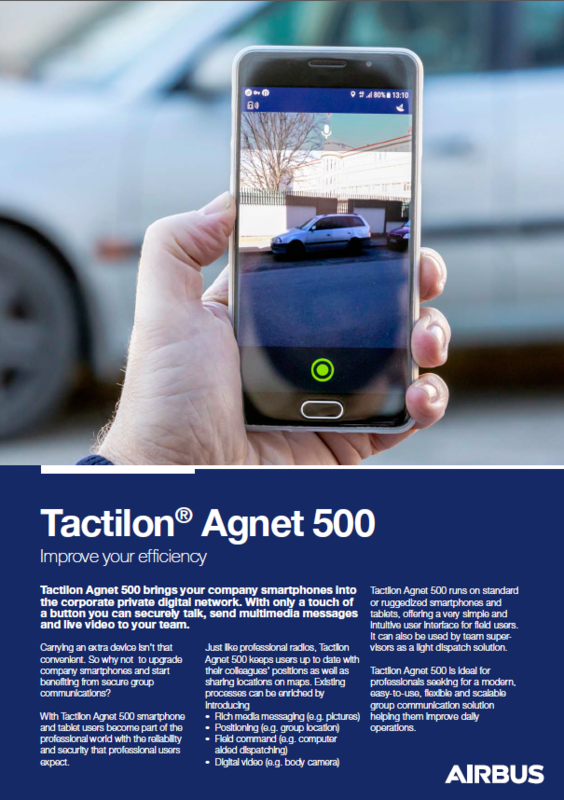 The pilot users of Tactilon Agnet have tested and recommended several models of smart devices to use with Agnet 500. They all use the Android operating system. With only a touch of a button on your smartphone you can talk, send multimedia messages or even live video to your team.